If you open your closet doors right now, could you find your favorite jeans or that just-right shirt? Are your clothes sliding off of hangers, or loosely stacked in messy piles? If so, consider this: a cluttered closet can make you feel anxious and disorganized — and take you longer to figure out what to wear. Here are 5 steps to decluttering and organizing your closet. Have you worn it in the last 12 months? Can you see yourself wearing it again? Does it match your current style? Is it damaged in any way (e.g., pilled, ripped, stained, missing buttons, broken zippers); if so, will you get it repaired in the next month? Do you feel good about yourself when wearing it? 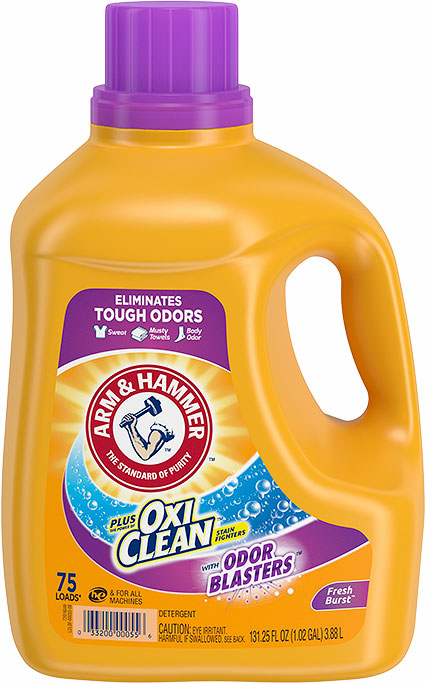 Use a laundry detergent designed to get clothes smelling fresh again, like ARM & HAMMER™ plus OxiClean Odor Blasters; it’s specially formulated to get rid of body odor, sweat and musty-towel odors. 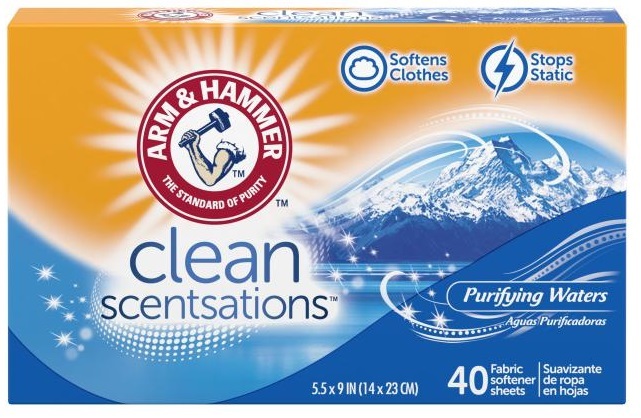 You can also add a scent booster to the wash like ARM & HAMMER™ Clean Scentsations In-Wash Scent Booster, which helps provide long-lasting freshness to your laundry. Remove odors in your shoes with this DIY kids’ project that uses baking soda and old socks; you can also put dryer sheets into your shoes overnight to absorb odors. 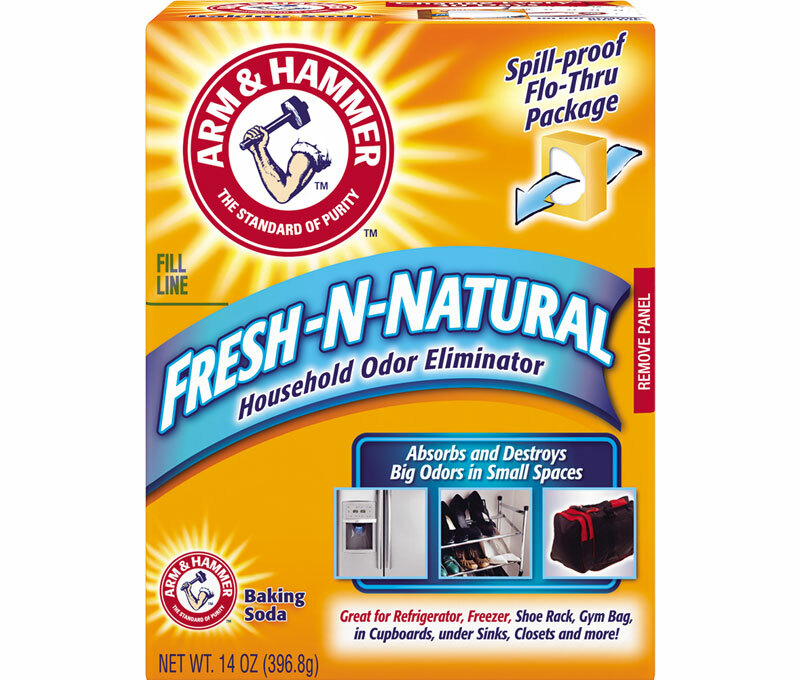 Sprinkle ARM & HAMMER™ Baking Soda onto a damp sponge, then rub surfaces lightly, including the inside of your closet doors. Rinse the sponge with water, wipe everything down again, and dry with a cloth. Vacuum or sweep as necessary. Divide your closet into clothing sections such as by color, clothing type (shirts, pants, jeans) or function (work vs formal). Put your out-of-season clothes in a bin, outside of your closet, or keep them together in a seasonal section. Make a clear separation between each clothing section by using different colored hangers. Hang as much clothing as possible to conserve space. Recycle dry cleaning hangers or return them to the dry cleaner. Place remaining items in plastic bins in your closet below hung items; shoes can go in bins or drawers, or line up neatly on a shoe rack. Fold and pile clothing of similar weights together to keep your stacks looking neat. Line up purses, one next to the other and stack hats, place them neatly in bins. Add battery operated lighting or LED lights above your top shelf to give you more light! Organizing your closet may not be your favorite thing to do, but the benefits are long lasting: having a neat, clean closet can give you more free time, more peace of mind and make you feel more in control. •	“How to Organize Your Closet.” wikiHow. wikiHow.com, n.d. Web. 13 December 2013. •	Leeds, Regina. “Sweater Closet Storage 101 – Organization Tips.” Closet Factory. ClosetFactory.com, n.d. Web. 18 December 2013. •	Kraut, Carolyn. “Think There’s No More Room In Your Closet?” Hands of Time. 30 March 2012. Web. 17 December 2013. •	Gibson, Ronique. “10 Tips for Lighting Your Storage & Closets.” Freshome Design & Architecture. Freshome – Interior Design & Architecture Magazine, n.d. Web. 18 December 2013. Enhance your detergent’s performance by adding a detergent booster for extra cleaning power.